Contrary to popular belief, Education and Schooling are, as award winning school teacher John Taylor Gatto contends, mutually exclusive subjects. 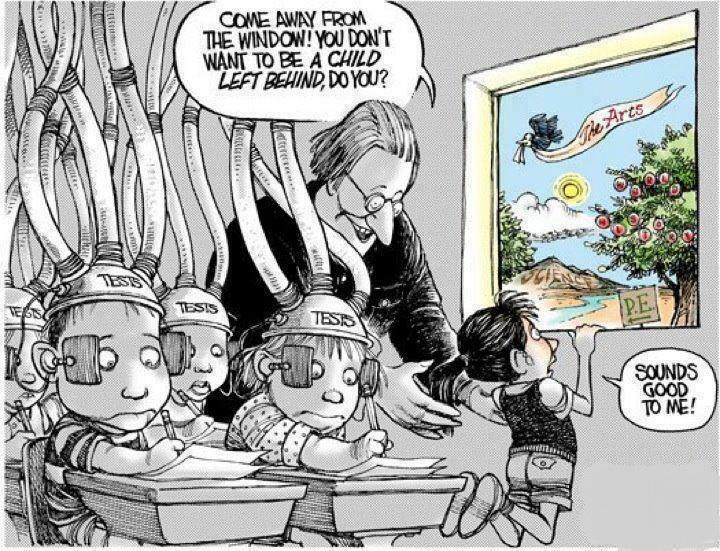 This realization became easier to recognize with the advent of Standardized Testing like the ITBS, more obvious with the creation of No Child Left Behind, and is now difficult to ignore under the auspices of Common Core. 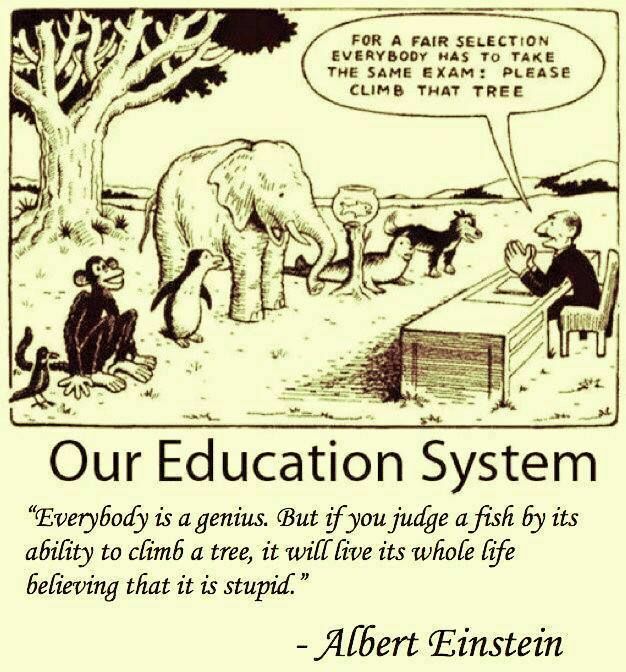 We often internalize the myth that the school system in America has failed, but unfortunately for us, America’s school institution works perfectly in accordance with what it is designed to do. The American School institution was not established with the intention of educating the young, any more than the motive for Invading Iraq was to “fight for your freedom” any more than the purpose of the Drug War is to remove dangerous narcotics from the society, but that hasn’t stopped the mass of people from declaring that these programs are colossal failures. The truth is that they’re not failures – they were designed this way on purpose. The establishment sells us on dreams, and the happy-sounding names of those false promises keep us from noticing the true purpose of the exploitative agendas that are put into action right in front of us behind the smoke screen of what is best for the nation. These institutions and doctrines serve those who created them, not those who are managed by them. Similar to the activity of training fleas enjoyed by emperors and kings throughout antiquity, public school was intended by its architects to break the spirit, and teach our children to respond to orders. And despite our ever increasing demands of children to start school earlier, and complete larger piles of homework during their time away from school, our nation ranks at the bottom of nineteen industrial nations in reading, writing and arithmetic. Gatto contends that “For 150 years institutional education has seen fit to offer as its main purpose the preparation for economic success.” But today’s kids dismiss the notion that if they do well at school they can get a degree and then get a good job and thus a good life, because the reality that this is not true has become all but impossible to ignore, not just because of the current state of technological unemployment and a failing monetary economy, but for the simple fact that Ellen DeGeneres, Mark Zuckerberg, Brad Pitt, Ted Turner, Steve Jobs, Bill Gates, F. Scott Fitzgerald, John Lennon, Jim Carrey, Al Pacino, Wolfgang Puck, Tom Hanks, Abraham Lincoln and thousands of fiercely successful human beings got that way by dropping out of school. We might offer the excuse that these individuals were special, but as the father of Capitalism Adam Smith himself asserted in Wealth of Nations, there is no difference between the Duke and the street sweeper except early training. The platitude that working hard in school will amount to an economically prosperous life is shoved down our throats because it makes both parents and students easier to regulate and intimidate as long as the association goes unchallenged. But even if it were true, money is a terribly substandard motivator. But in a monetary economy that has been stripped of all worth by the banking elite, today’s parents can seldom sustain a household on a single income and lack the time or money to homeschool their children. Today the income of working couples has the same purchasing power that the income of the average working man did a century ago. Thus the state has been charged with raising the children – an intentional consequence of the Rockefeller funded movement called Women’s Liberation, sold to society on the promise of empowering women with the actual aim of doubling the taxpayers while simultaneously granting access to the young minds of their progeny at an earlier age. The prospect of both couples working at full-time jobs wouldn’t have garnered much support as long as parents were worried about their children. The prevailing attitude of institutions like schools that masquerade as though they were communities is one of indifference. You are anonymous and happy for it because of imagined dangers others may present if they take notice of your existence. The problems of the society are considered always to be someone else’s responsibilities, and that someone should be paid to solve them. As a result,the most commonly shared dream is to go someplace better, constantly running after a carrot you will never catch by looking outside of yourself for the answers to your own misery. The fundamental difference between a community and a network is that one makes you feel included and the other makes you feel isolated. Networks like corporations, colleges, armies, hospitals and government agencies allow a limited sliver of expression as acceptable, and cultivate large groups of individuals who associate with each other out of habituated routine without any genuine empathy or warmth for one another but for a few limited exceptions that are sure to slip through the cracks. A community on the other hand, allows the full flowering of all varieties of human expression. Communities think of the homeless as real people – networks convene committees to calculate cold mathematical formulas to systematically address the nameless problem of the less fortunate. Networks divide. Communities unite. The extremely limited capability of networks means they instantly deliver all they ever will right at the very beginning, while communities become more beautiful the longer you’re a part of them. You have to buy your way into a network to be a part of it. A community’s love sticks with you through thick and thin. The love of a network is conditional and likely to disappear at any time if you fail to measure up to its expectations. Networks starve us of emotional nourishment hence creating the inherent loneliness that can so easily lead to suicide and substance dependency – problems that rarely inflict individuals who are part of communities with solid social cohesion. It’s interesting to note that the modern institution of mandatory schooling survives largely by virtue of its employment of police power to enforce filling the hollow classrooms. Compulsory schooling posits hegemonic ideals – that there is only one right way to do anything. Bertrand Russell aptly observed that the inherently anti-democratic institution of mass schooling produces distinctly imperialistic students trained to become insecure anti-intellectuals who’s contempt for excellence is equaled only by their contempt for aesthetics. If we don’t feel secure with ourselves we’ll never be okay with our neighbors. Institutions like schools alienate us from our communities which in the long haul creates an entire generation with a fierce indifference to just about everything. Schooling is an artificial shortcut that creates the appearance of community while robbing us of it. Schools weaken families and communities, alienating parents from children and then blaming the family for its lack of togetherness. Age segregation has created a great disconnect between the generations, ensuring a society where the possibility of community is continuously inhibited. As a result we become addicted to dependency. 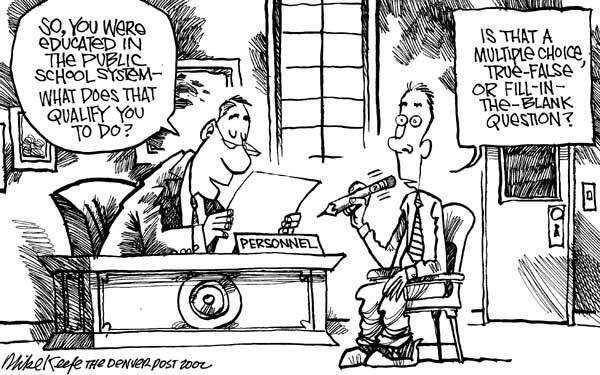 In today’s national crisis of maturity, everyone seems to be waiting for a teacher to tell them what to do. Whether its feeling the need to obtain permission to perform the kind of work we’re interested in by obtaining a degree from so-called experts, or asking permission to build structures by filing permits, or expecting our global crisis to be solved by a superhero or a Rockstar Messiah or an intergalactic alien nation to come down into this chaos we’ve created for ourselves and save us from it, we’re all left feeling completely powerless to do anything. And it all starts with how we are molded as children. Schools are crippling our population’s potential by artificially extending childhood, first and foremost with the imposed myth that 12-year olds are children. History is riddled with evidence to the contrary, from Thomas Edison starting a printing business at the age of twelve, to Thomas Jefferson running a 250-employee operation at the age of twelve, nothing could be further from the truth. We artificially extend childhood all the way up to the age of eighteen, at which point our youth have been conditioned to believe that they may never have to grow up, and more often than not they never do. They end up sitting in front of the TV drinking beer and cheering on their favorite football team and scrutinizing celebrity gossip while remaining oblivious to world events directly impacting their lives. 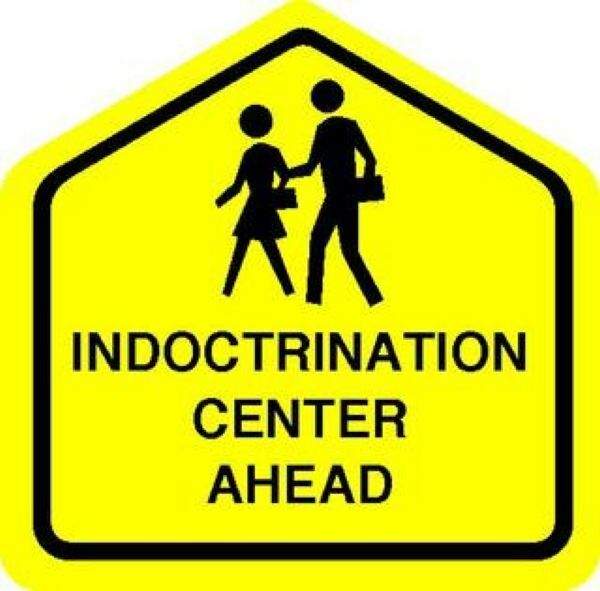 The creation of a docile surf population was the goal of standardized schooling all along, and is a fully realized nightmare today. 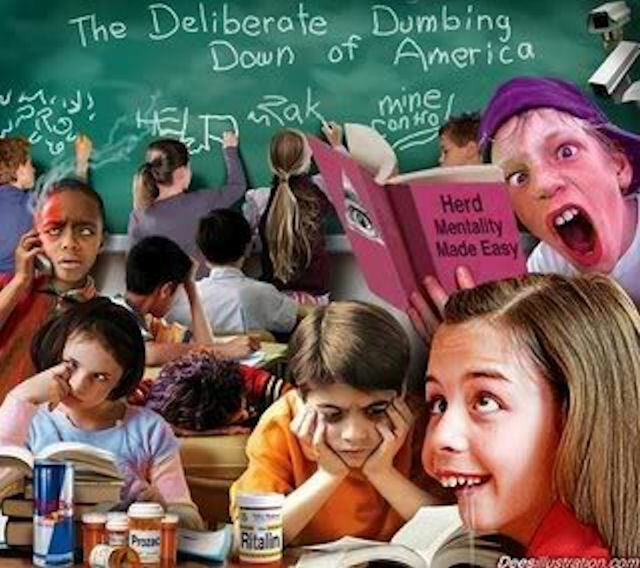 Our learned helplessness empowers strong father figures at the heads of corporate-run government agencies to dictate the way forward for us, which of course includes sustaining the institution of mass schooling that disempowered the human spirit in the first place. 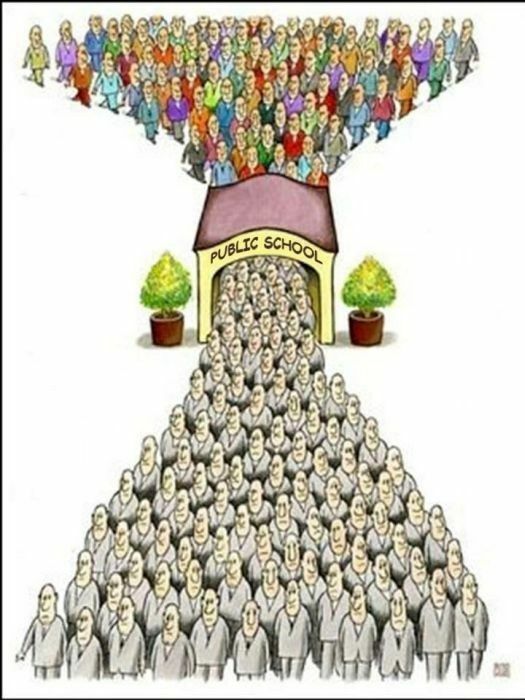 The people who put the school system into place are getting what they paid for: an army of obedient workers. Schools don’t teach you anything but how to obey orders. The goal of education is the realization of fully realized human beings. 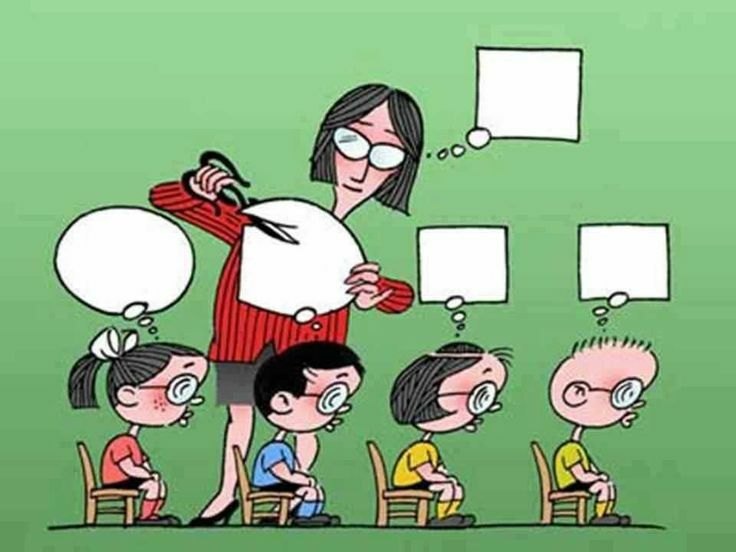 The goal of schooling is the compulsory programming of habitual conformity. Until we have the collective resolve to scrap the institution altogether, teachers like John Taylor Gatto show us how to sabotage it, and students like Logan LaPlante show us how to hack it. Gabrielle Lafayette is a journalist, writer, and executive producer for the Outer Limits Radio Show. This entry was tagged Artificially Extending Childhood, Common Core, Dumbing Us Down, Education, Habitual Conformity, John Taylor Gatto, Logan LaPlante, No Child Left Behind, Public Schools, Schooling, Standardized Testing, Weapons of Mass Instruction. Bookmark the permalink.